n-Track will normally record from the device builtin microphone, from the headset mic (if a headset is connected) or from an external mic. 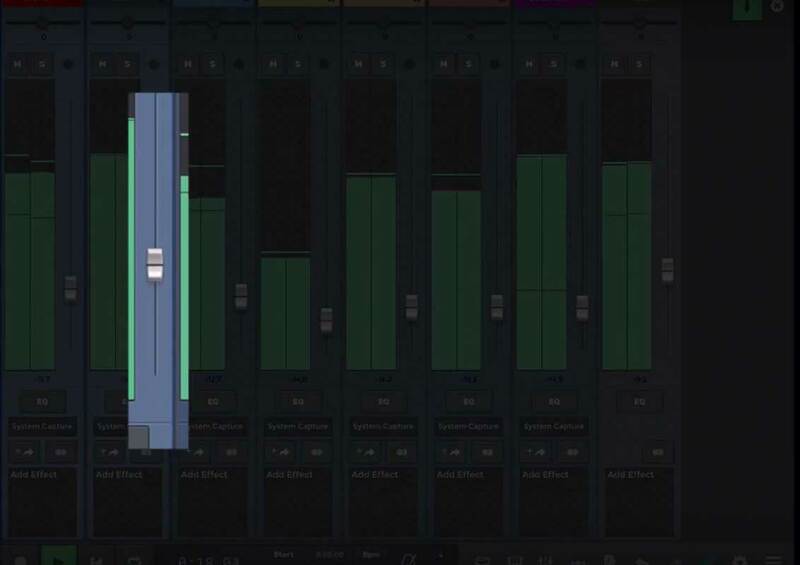 On Android when you overdub tracks n-Track needs to perform what is called latency compensation. 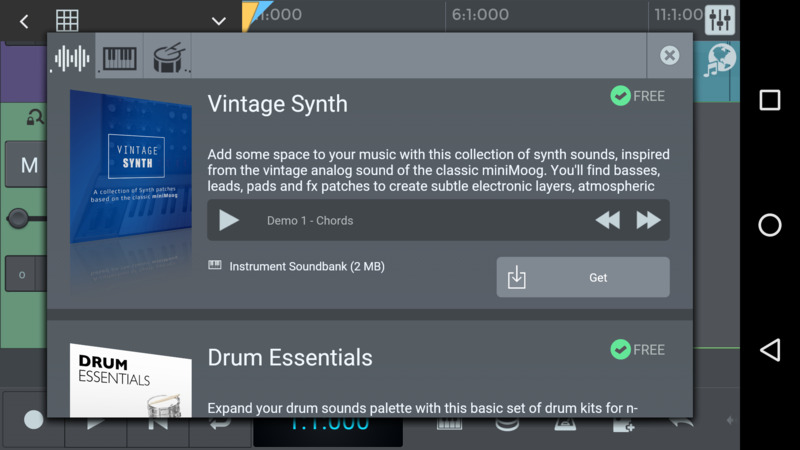 This is needed because of the way the audio flows through the Android operating system. Audio buffering (i.e. 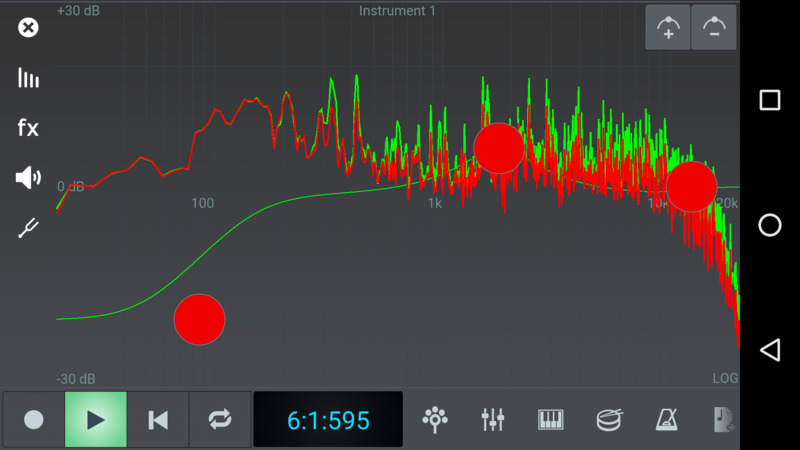 the length of the blocks of audio data that are passed between the app and the hardware audio device) is not totally under the control of the app that is doing the recording, so the app doesn't know exactly how to align the recording relative to the existing tracks. To overcome this issue n-Track includes a latency calibration mechanism. The app will prompt you to calibrate the latency when you first try to record. You can always repeat the latency calibration by selecting the latency calibration button in the Settings box. Recording latency is related but not the same thing as input to output latency. 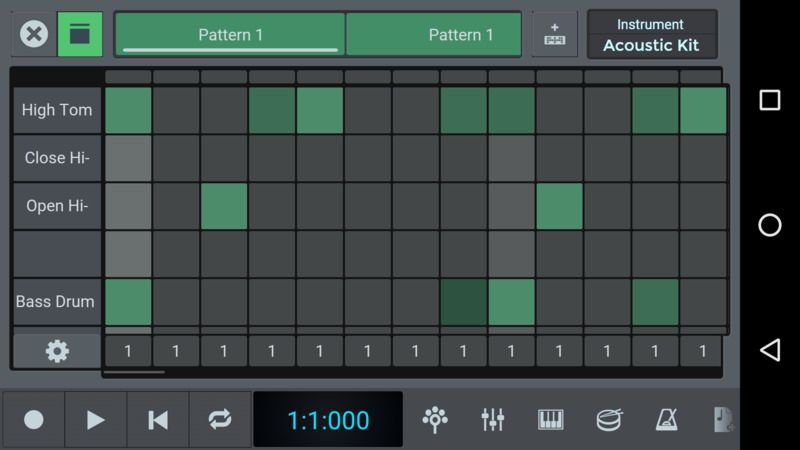 When you use instrument plugins (such as the sampled instrument sounds built into n-Track such as Piano, Drums etc.) 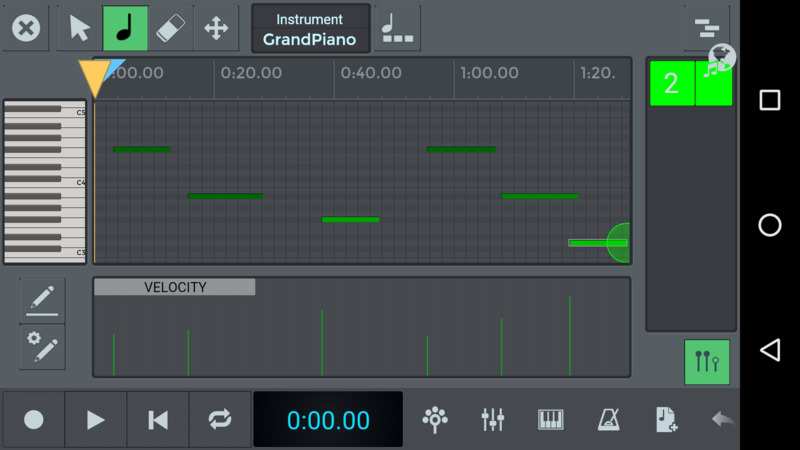 or when you monitor with headphones the audio comining into the mic, you may hear a short delay between the time when you press a key on the on-screen keyboard or drum pad and when you hear the sound. This is caused by the fact that audio moves between the app, the operating system and the hardware audio device in chunks of data called audio buffers. The smaller the audio buffers and the lower their number the smaller will the delay be. You can adjust the size and number of audio buffers in the Settings box. If you decrease too much the size and/or number of buffers you may notice clicking sounds during playback or live monitoring. This happens when the buffers are so small that the device can't keep up and some short bursts of silence (dropouts) interrupt the audio. You should try to use the minimum possible buffering that doesn't generate clicks. Not all Android devices and versions of Android allow for the same latency performance. n-Track will say wether the device is capable of low latency performance in the settings box. When the device supports "pro" or "semi-pro" latency performance you may check the Enable low-latency audio option that sets the device's preferred buffer size that triggers the device's lowest possible latency. 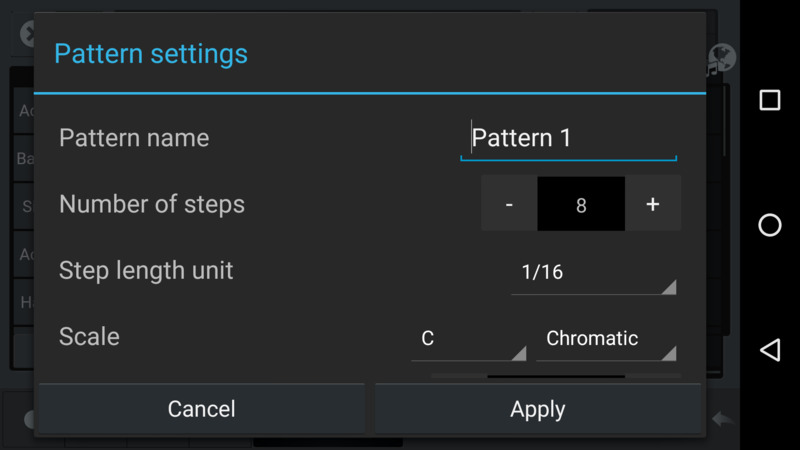 On Android 8.1 or later you can select the AAudio audio device drivers for audio input and output. These new device drivers are more modern that OpenSLES (supported since the beginning of Android) and should allow for slightly better latency performance. The lower input to output latency you can set the less problems with recording latency you'll have. Input to output latency can be made very small when using compatible external USB audio devices. 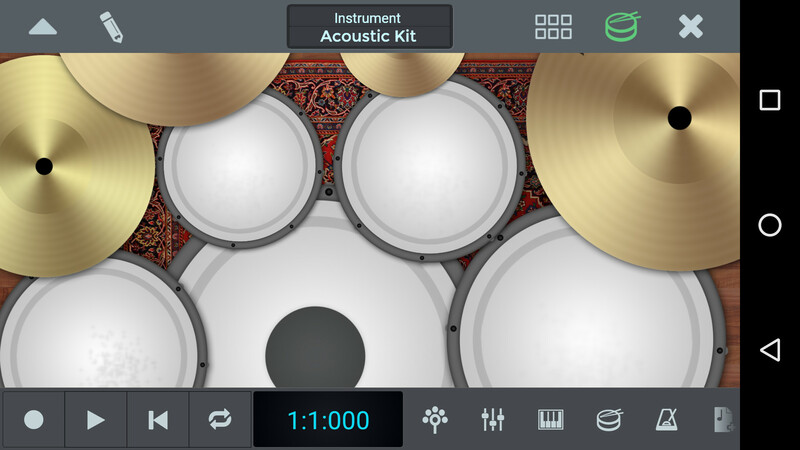 To activate the metronome, switch it on with by tapping "enable". 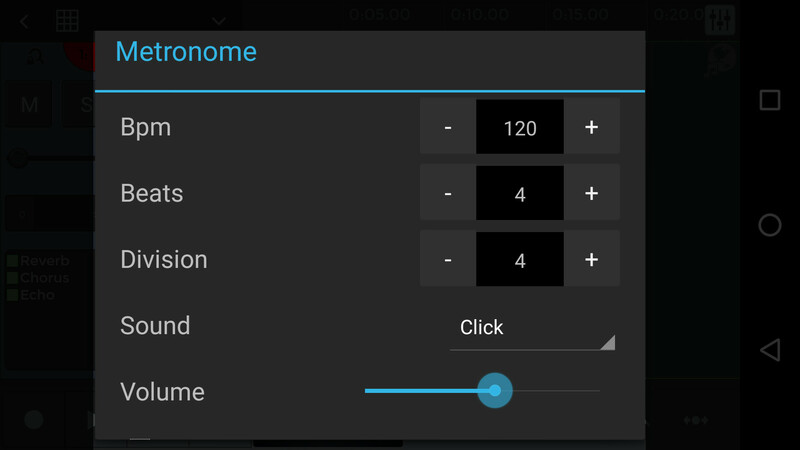 You’ll now hear the metronome both during playback and recording. 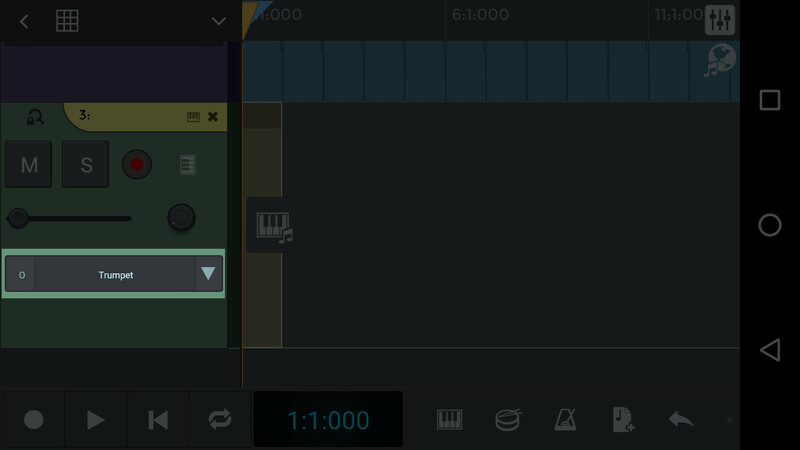 To export your track, tap the “menu” icon and select “Export mixdown”, then choose the format and the bit rate, then press “ok”. 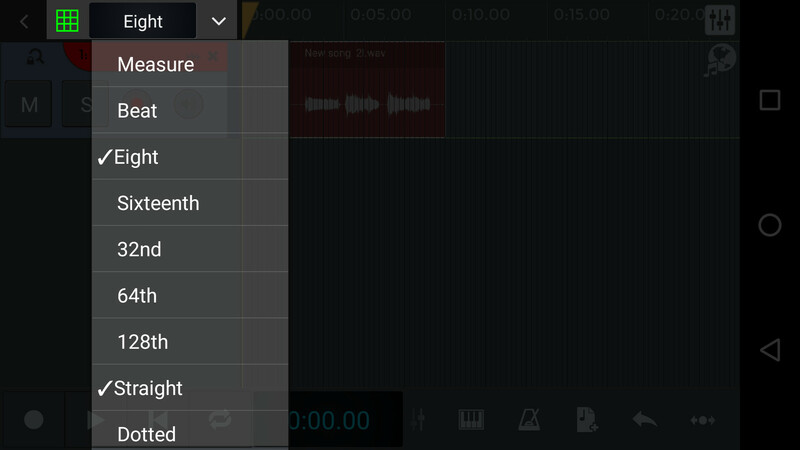 Many modern Android devices have good quality mics, so if you plan to only record vocals or acoustic instruments, one simple option is to just use the Android device builtin mic. To do that you just have to connect a standard set of headphones (the ones you use to listen to music, not the ones you use to talk on the phone) and n-Track will automatically recording from the device built-in mic while sending audio to the headphones. 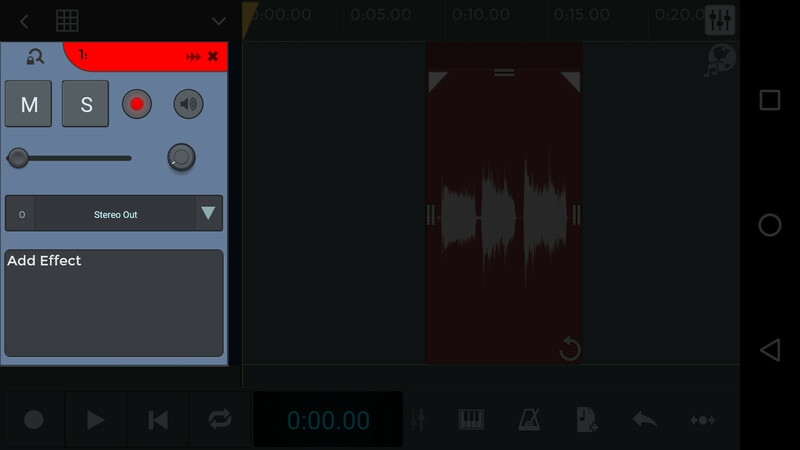 If you instead connect a phone headset the app will record from the headset mic, which may not always be what you want as the quality of that mic may not be very good. This is the cheapest option and can be useful to record instruments (electric guitar, keyboards etc.). You may get good results connecting an external microphone but you won't be able to connect an high quality condenser mic which requires a phantom power source. Another adapter would be required for that. Disadvantages of using this approach include: you are still using the Android device builtin mic preamplifier, which is designed for voice calls and may not produce great sounding vocal tracks, and may not be compatible with all mics (depending on the mic impedence); you're still using Android software audio stack, which depending on the version of Android adds a more or less noticeable audio latency. This is the approach that guarantees the best possible audio quality and lowest latency. The audio quality will be of course dependent on the USB audio device you use, but there are cheap audio devices on the market that guarantee quite good audio recording quality. An advantage of this method is that when using external USB audio devices n-Track bypasses Android software audio stack and talks directly to the USB audio device using our custom USB audio driver. This allows working with very small audio latency. The main drawback of this approach is that not all USB audio devices and Android devices combinations are supported by n-Track, so we advise to test the USB device first or purchase a device that you can return if not compatible. 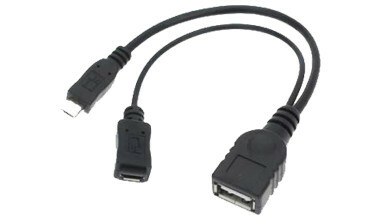 A cable such as the one in the picture below can be purchased for just a few dollars. 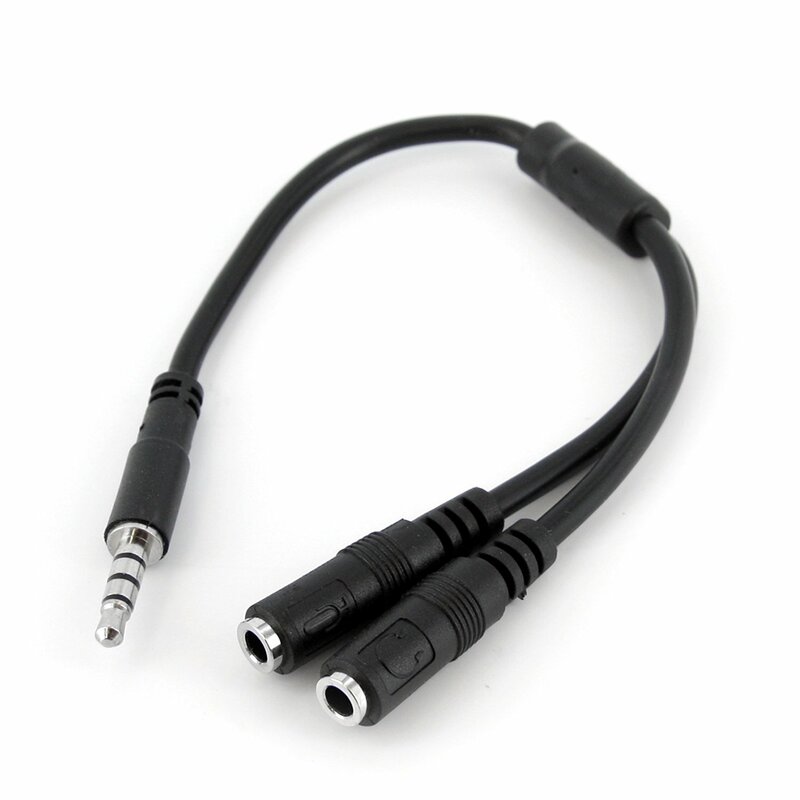 Simply connect the male connector to the Android device and a mic to one female connector and a set of headphones to the other. n-Track Studio support external USB audio devices. 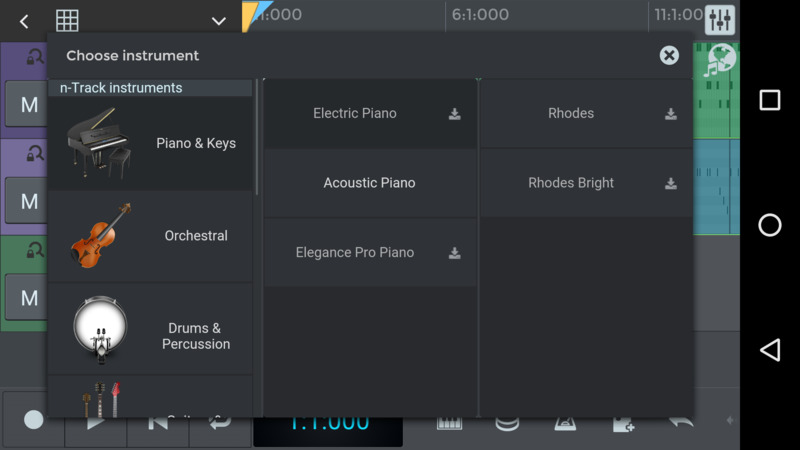 n-Track can accesses USB audio devices directly using its own custom USB driver, or can use Android standard USB driver (available on Android 5.0 and later). While the Android USB audio driver is getting better with newer versions of Android, the n-Track driver bypasses the Android audio system so it typically allows for lower latency. 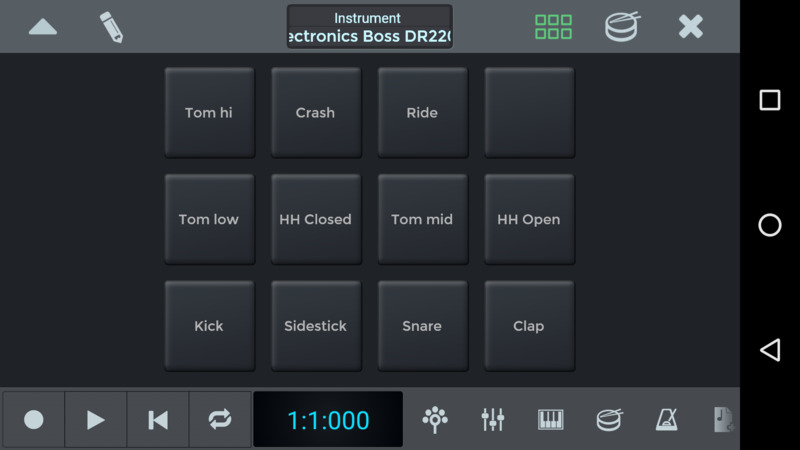 The custom n-Track USB audio driver may however not work on all Android devices + USB devices combinations. See below for a compatibility matrix that shows the devices we've tested. 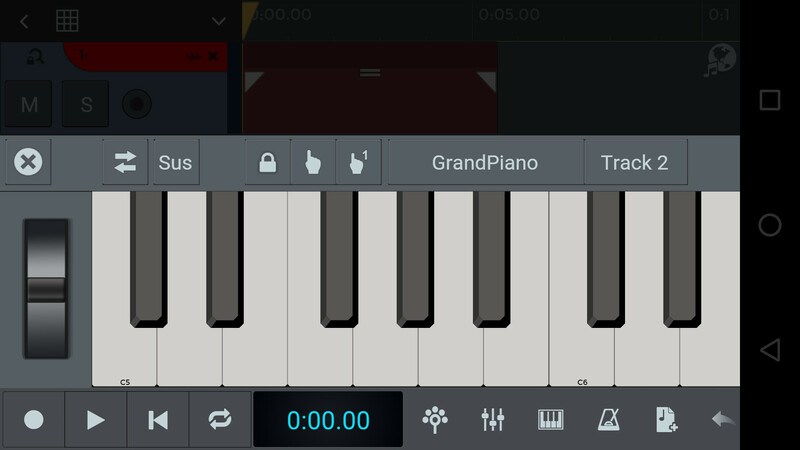 Launch n-Track, then connect the USB audio device to the Android device. A prompt should appear asking if you want to use the Android or the n-Track USB driver. 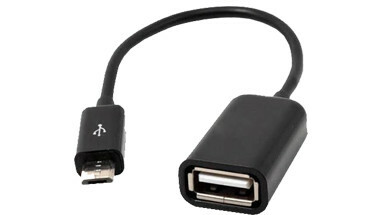 If your USB device is not specifically designed to be connected to an Android device you'll typically need an adapter cable. Most Android devices use microUSB or USB-C connectors, so you'll need a cable with a microUSB or USB-C male connector and a female regular USB connector. Some USB devices work well with the Android device power. Some other devices need more power and can only work when connected using either a powered USB hub or a splitter cable. The splitter cable is very inexpensive and can be easily found for example on Ebay, searching for "OTG splitter". When using multichannel USB audio devices you can record as many audio channels as the audio device allows. After connecting a multichannel USB device n-Track will by default start using only 2 inputs and 2 outputs. 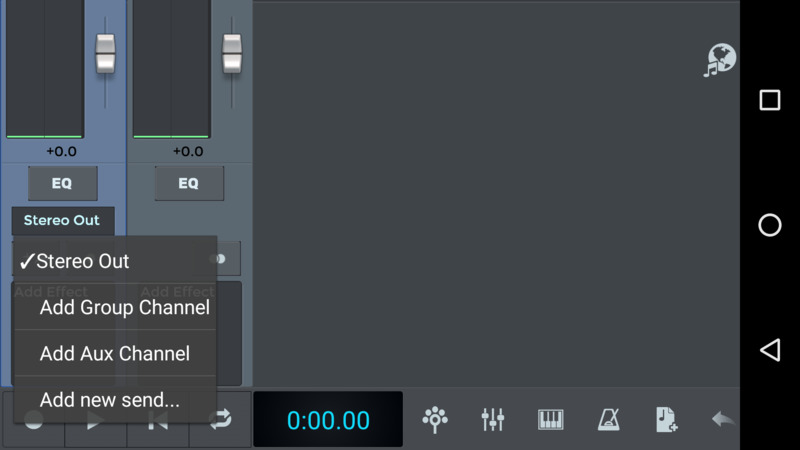 To use more channels change the Max Inputs and Max Outputs settings in the Audio Settings box. Note that not all devices might be able to handle many input and/or output channels. The more channels you enable the more workload the device must handle. If when you increase the number of channels you hear that the audio starts clicking try to increase the buffering settings in the Audio settings box. See the USB compatibility chart below with notes on recommended buffering settings for specific audio devices. n-Track automatically detects wether the audio device in use has 24 bit recording capabilities. If that's the case the recorded audio files that n-Track generate will use the 24 bit audio format. 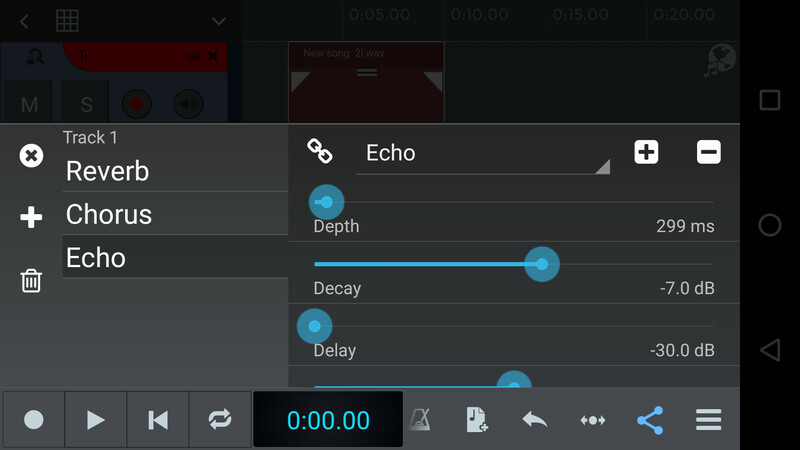 24 bit recording currently works only on external USB audio devices, the Android built-in audio device is 16 bits only. 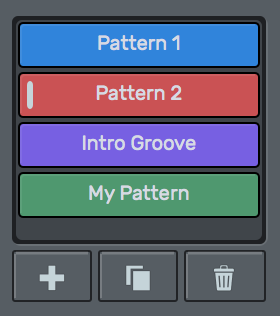 To save your project or open a new one, change settings, export midi or mixing down your song, import audio and midi files or access to project settings. 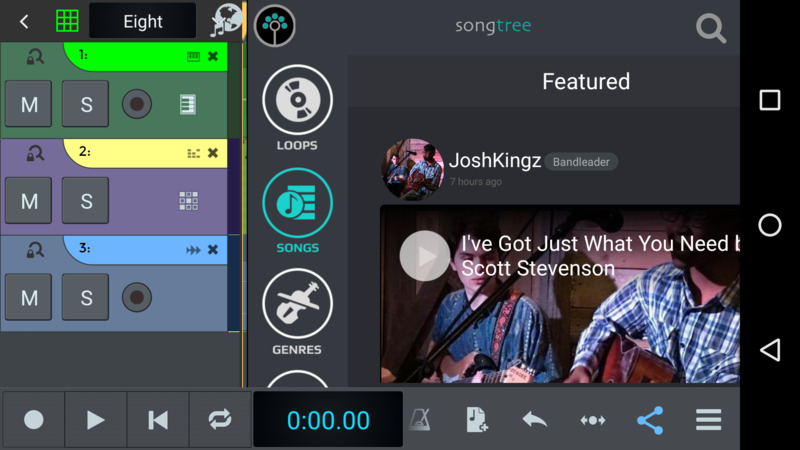 Opens Songtree, the music collaboration platform that allows to collaborate with other musicians in building songs online. Cuts the part and copies it. Split the part using the time axis bar or slice the current selection into a new part. 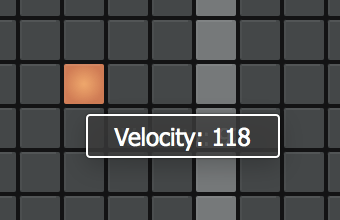 Lets you rename the track. Locks the part offset and the size. Apply effects in disruptive mode. Minimizes or restore the channel height, or expands it back to its previous height. USB compatibility matrix that shows the devices we've tested. Please also kill all the apps that may be accessing the speaker or microphone. If the problem persists please also try restarting the device. Try switching between 44100 and 48000 hz sampling frequency in the Settings box. Also try increasing the "Buffer size" and "Number of buffers" settings. If you're running Android 8.1 or later also try switching between OpenSLES and AAudio device drivers in the Settings box. 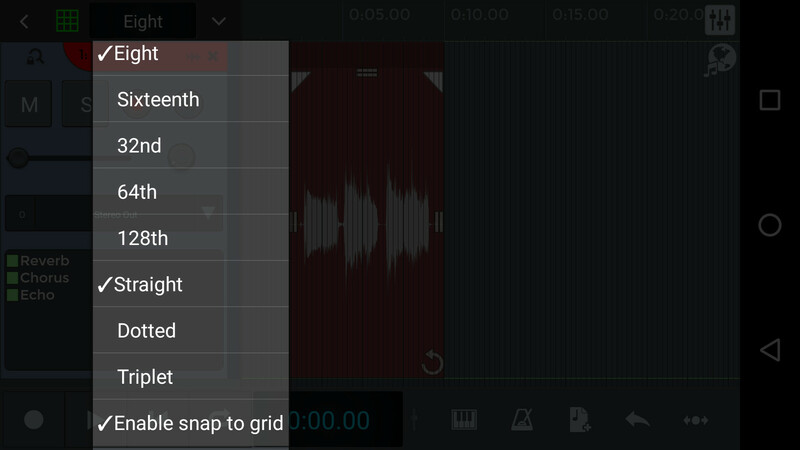 Android doesn't currently allow setting the mic recording volume. 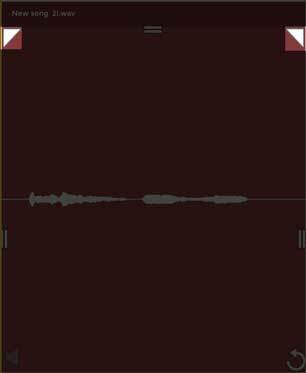 There are a few recording presets available that depending on the device may change the mic recording level (while also possibly changing other processing options on the mic signal such as equalization and limiting). 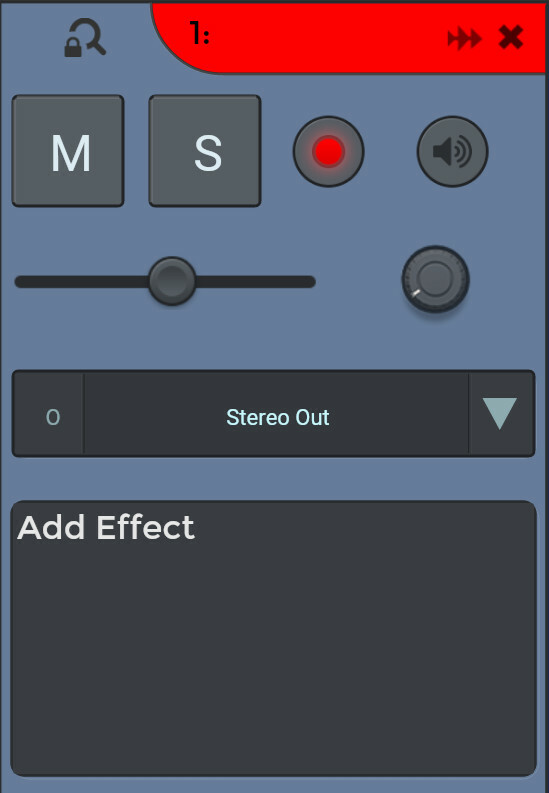 Try switching between the available options for the "Mic/input level preset" setting in the Settings box. 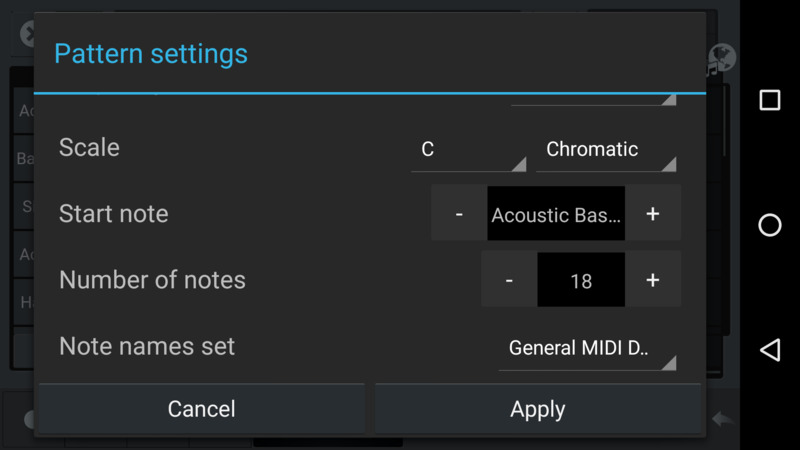 Compatibility with USB audio and MIDI devices on Android depends on a number of factors including both the Android device and the USB device (which must be USB Audio "class compliant"). If you get errors or the audio is not working properly make sure you try both the n-Track USB driver and the Android USB driver (n-Track asks for which driver to use when it detects the USB device). 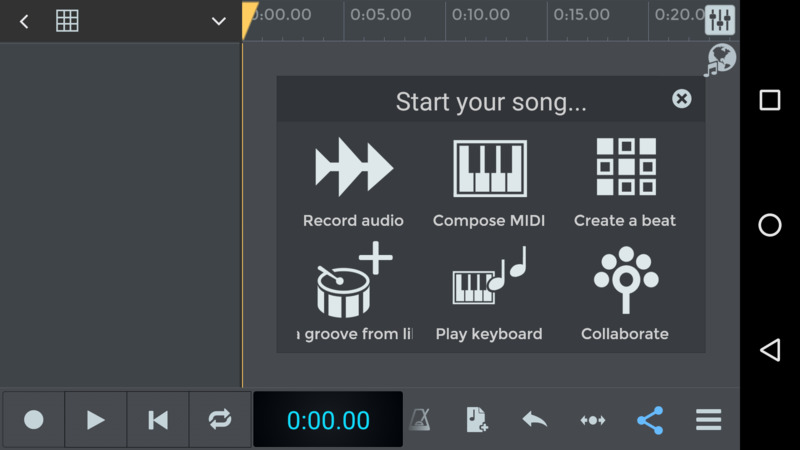 When using the n-Track USB audio driver, n-Track circumvents the Android operating system to access USB audio and MIDI devices. While that has the benefit of eliminating the typical audio latency that occurs with Android, unfortunately we cannot guarantee compatibility between all USB devices and Android devices because we are unable to test all combinations. When you plug an USB audio device with n-Track open, you should see a prompt that asks you to select which USB driver to use. If you don't get the prompt it means that either the USB device is not USB audio class compliant, the Android device doesn't support USB audio, or that the two devices are incompatible. If you do get the prompt try to see if you can play and record audio. Experiment with both the n-Track driver and the Android driver. If you get an error try switching buffering (number of buffers and buffer size) and/or “sampling frequency” settings in the Settings box that appears clicking on the bottom right menu button and then on Settings. Also an USB device may offer multiple streaming profiles (for example 16 bit, 24 bit, stereo, multichannel). If you have problems with one try switching between the othre available profiles in the Input and Output drop-down boxes. If you get audio glitches in the playback or recording, try both bigger and smaller buffers, sometimes USB devices don't tollerate big buffers and work better with smaller buffers. Why I receive notifications that the app has been recording in the background? 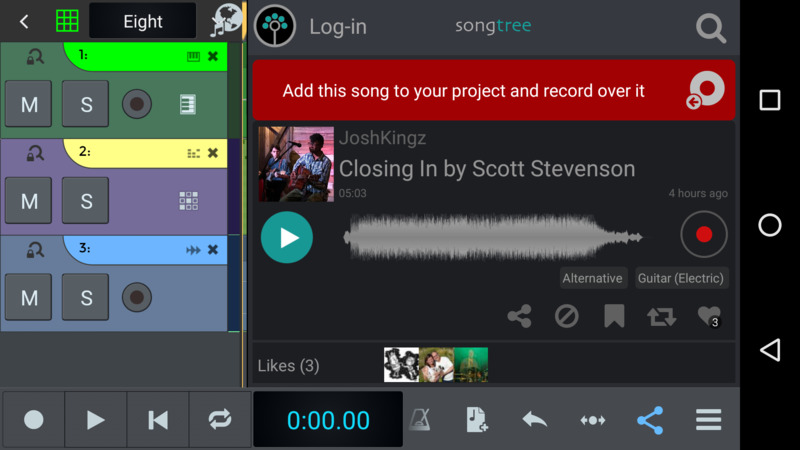 n-Track never records without an input from the user. And certainly never transmits anywhere the recordings (unless explicitly told to share a song by the user). 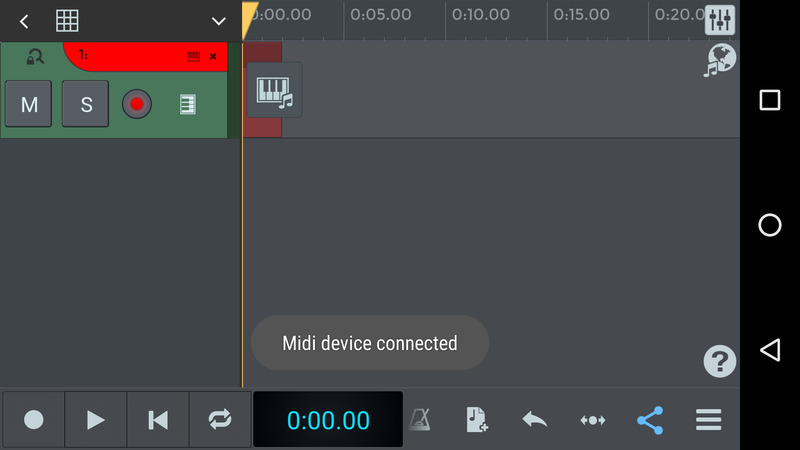 When active n-Track is always receiving audio from the audio device, because the audio engine needs to be ready to monitor the live input. The app actually stores the audio (i.e. to a file on the device storage) only when you press the Rec button. When you close the app the system sends an internal notification to the app which shuts down the audio engine. We've received reports from users using the latest generation of Samsung Android devices that the Samsung permission monitor app occasionally pops a notification saying that n-Track has been recording in the background. We're investigating the issue. Either the Samsung app is mis-firing, or the system for some reason is waking up the app (perhaps to show a preview of the screen when you tap the multitasking button that shows all apps that have been opened) and when n-Track wakes up it automatically accesses the audio device. If you receive these notitications please try manually killing the app when you have finished using it, by tapping on the multitasking button and swiping vertically over the app. My phone is new and has a fast CPU, why I can't add many effects without hearing clicks or distorted audio? 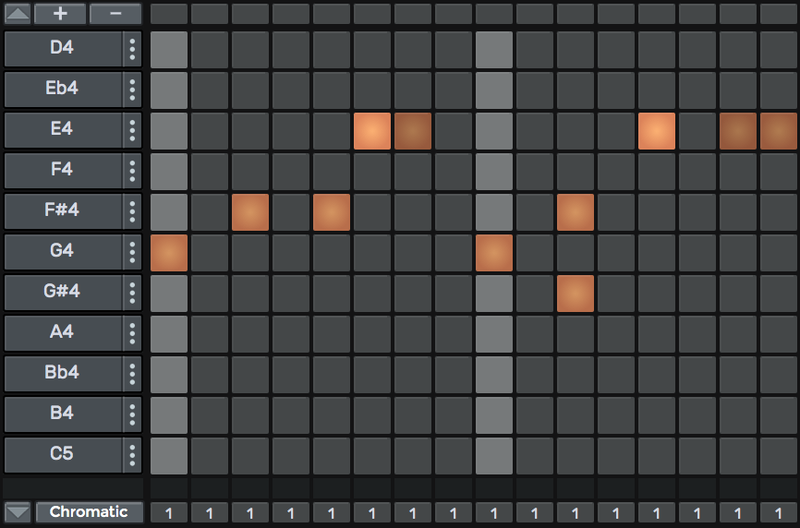 Some of the effects included with n-Track require a fast CPU, most notably the Convolverb convolution reverb. 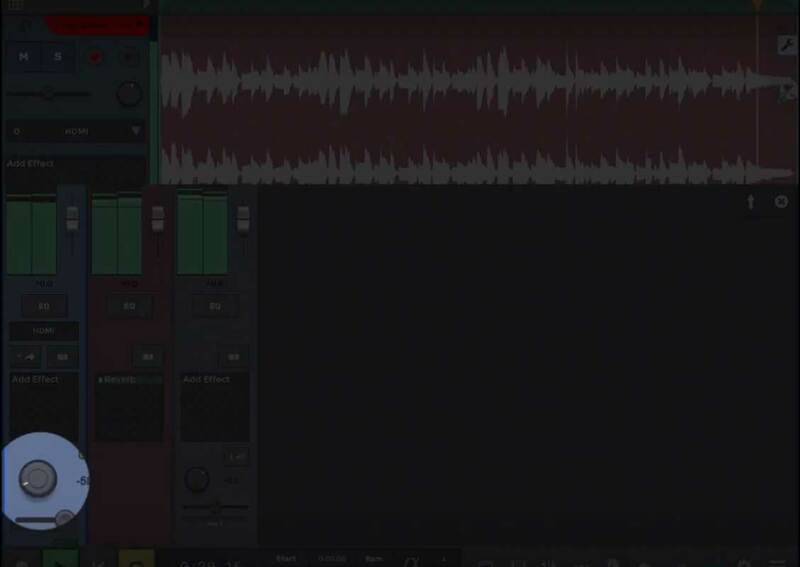 The n-Track Reverb effect on the contrary doesn't require many CPU resources. When the CPU is not able to handle the processing of the audio you'll start hear to hear clicking sounds or the audio becoming distorted. This happens because after say one audio buffer has been played the audio device has to wait for the device to send it another audio buffer (that the CPU is still busy preparing), so it's forced to output silence instead. Even some fairly recent top line devices are not currently able to handle many effects simultaneously or even just one instance of Convolverb. For example in our tests the Samsung S9+ can't handle the Convolverb effect with the default Fast path audio buffering setting. We found out that even though the S9+ CPU is quite fast, the device tries to aggressively reduce the CPU speed to save battery. This is called CPU power/thermal throttling, performed by the CPU Governor. Unfortunately this conflicts with high performance audio, as with audio the CPU is not used continuously but only during the audio callbacks. This makes the device think that the CPU is not being fully used so it tries to reduce the CPU speed (clock frequency) to consume less power.